Pastor Wendell Hendershott was born and grew up in Bismarck, North Dakota. He graduated from the University of North Dakota (Grand Forks) in 1973. After teaching vocal music for two years, he enrolled in the Lutheran Bible Institute, now Trinity Lutheran College in Everett, WA, and began doing youth and Christian education ministry. In 1987, after twelve years as an Associate in Ministry, he enrolled at the Lutheran School of Theology in Chicago where he received a Master of Divinity degree in 1990. Before coming to Grace Lutheran, Pastor Hendershott has served on staff or as a pastor of eight other Lutheran churches: Organist, Faith Lutheran Church, Bismarck North Dakota, Choir Director, Calvary Lutheran Church, Grand Forks North Dakota, Youth and Education Minister, Bethel Lutheran Church, Shoreline, Washington, Youth and Education Minster, First Lutheran Church, Poulsbo, Washington, Intern Pastor, Holy Trinity Lutheran Church, Glenview, Illinois, Organist, youth worker, House Of Prayer Lutheran Church, Country Club Hills, Illinois, Pastor, Trinity Lutheran Church, Gresham, Oregon, and most recently, Pastor, Trinity Lutheran Church, Nampa, Idaho. While at First Lutheran Church in Poulsbo, Pastor Hendershott met and married our co-pastor, Netsie Griffith. Presently they are delighted to be making their new home in Corvallis. This is the second time they have lived in Oregon. Yet, although they have been a ministry couple throughout their married lives, heretofore they have served in separate congregations. This is the first parish which they have served together. Pastor Netsie Griffith spent her early childhood on her family’s cattle farm outside Terrell, Texas. When Netsie was eleven her family moved to Gunnison, Colorado where she attended Jr. High, High School, and College. She graduated from Western State College of Colorado in 1979 with a B.A. degree in English. She later went on to receive a K-12 teaching certificate but, before entering the teaching field, made a decision to attend Christ Seminary, Seminex in St. Louis, Missouri. In 1982, she graduated from Seminex with a M.A.R. which she later relinquished towards a Master of Divinity degree which she received from the Lutheran School of Theology at Chicago in May of 2008. In September of 1984, Netsie was commissioned as a Church Staff Associate in the American Lutheran Church and in 1988 grand parented on to the roster of the Evangelical Lutheran Church in America as an Associate in Ministry. Beginning in 1982, Netsie has served various staff positions in congregations and on churchwide staff. Her first position was at Our Saviour’s Lutheran Church in Bremerton, WA followed by a position in the Peace Education Department of the Commission for Church in Society of the ELCA in Chicago, IL. She then went on to serve a shared position between St. Paul and St. Mark’s Lutheran Churches in Portland, OR which was followed by providing pastoral leadership for Grace Lutheran Church in Horseshoe Bend, ID. She resigned from her position in Idaho in 2006 to return to school full time. In 2007 she served a year of internship at St. Paul Lutheran Church in Ontario, OR. Netsie was ordained into the ministry of Word and Sacrament on February 28, 2009 at Trinity Lutheran Church in Nampa, Idaho. Her present position as co-pastor at Grace Lutheran Church serving with her husband, Pastor Wendell Hendershott, led to her ordination. Pr. Netsie is thrilled to return to western Oregon where her soul may be fed by ocean and mountain vistas, forests, flowers, fields of green and all the benefits of living in a Pacific NW university community. She is grateful to share such a living environment and ministry environment with an incredibly supportive spouse. Donna served as Campus Minister at Luther House from 1981 to 2004. In her 24 years of campus ministry, Donna wore many, many hats and served in uncounted ways. For her work she was awarded the Philip N Knutson Award for Creativity, a national award from Lutheran Campus Ministry, ELCA. Donna attended Concordia College. She graduated with a BA in Theology in 1976 from Valparaiso University. She was consecrated a Deaconess in the Lutheran Deaconess Association in 1977. She did a Deaconess Intern program at Neighborhood House in Lubbock, TX. She was then the Assistant to the Director and Coordinator of Children’s Services and was also Assistant Chaplain and Clinical Pastoral Education Intern at Methodist Hospital in Lubbock. Carol brings with her a wealth of experience in a wide variety of areas. She moved to Corvallis to live closer to other family members. Her hobbies include baking, books, and anything crafty. Jody (wo)mans the office on Mondays here at Grace. In addition to her office duties, Jody writes for the church newsletter and helps lead the church library committee. Jody’s hobbies include bicycling and making beautiful things out of fabric. Sunghee Kim is a concert pianist and accompanist. She is a member of Oregon Music Teacher Association (OMTA). She studied Künstlerische Ausbildung Klavier Diplom (Artistic education diploma in piano) under Prof. Ilja Scheps at Hochschule für Musik Köln-Standort Aachen (Köln-Standort Aachen Conservatory of Music) Aachen, Germany. She has accompanied for numerous recitals in Korea, Spain, Germany, and Netherlands. She was a member of Piano Research Association and performed frequently as a recitalist throughout Korea after coming back from Germany. She received her award for New Artist of the year award at the 2006 Korea Piano Society Competition. She taught at Kyungpook National University and Daegu National University of Education before coming to the United States. 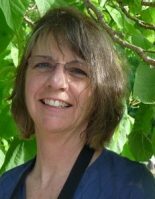 Robin Comforto brings years of experience as a bookkeeper as well as familiarity with working in a congregational setting. When not working as a bookkeeper, she works at OSU as a real-time transcriber for hearing impaired students and faculty. In addition to numbers, Robin also has a love of music — she plays the piano, and sings in the choir at First United Methodist Church here in Corvallis. Robin has a passion for environmental issues, and works hard to reduce her carbon footprint. Sam is student by day and custodian by night. In among his study schedule, Sam manages to keep Grace facilities clean and orderly. You might not be lucky enough to see Sam here at Grace, but you certainly enjoy the fruits of his labor. Thanks, Sam!